Do you understand why your child needs to go to the dentist so often? Do you know the different types of dentistry available, and why children need fillings for their cavities? To help yourself and your child get better educated about the requirements and special care necessities of dental work, take this short true or false quiz invented by our Corpus Christi dentists. Our pediatric dentistry department is happy to accept new young patients and teach them about the benefits of practicing proper dental hygiene. Question 1: You should start bringing your child to the dentist as soon as they grow their very first tooth. True or False? Answer: True! As soon as your child develops their first tooth, or as soon as they turn one year of age – whichever comes first – you must bring them to the pediatric dentistry department to get their mouth looked at right away. Specialists can observe your child’s oral development and give them the tools needed to grow healthy and strong. Question 2: Pedodontics is a type of dental industry that focuses on the outside of the mouth. True or False? Answer: False! Pedodontics, in fact, refers to children’s dentistry. This area of dental care specializes in using pediatric dentists to monitor and care for your child’s developing teeth. Question 3: Helping your child practice important oral hygiene habits as early as possible is essential. True or False? True! It’s never too early to encourage good dental habits in the lives of your children. Your child will want to start getting in the habit of brushing their teeth as soon as they can handle a toothbrush. When they start developing teeth, the dentist will want to start having them cleaned and checkup up to prevent early cavities from forming. By teaching your child at an early age, they will become normalized to the idea of taking care of their mouth, which promises a beautiful smile. Bring Your Child to Boss Dental Today! 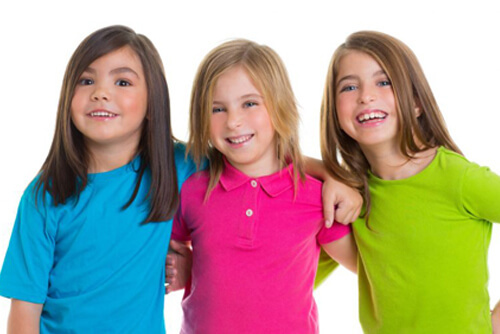 Our pediatric dentists at Boss Dental Care will be happy to see your child, regardless of age. We make sure to practice calming and compassionate techniques that will help your child feel comfortable while making sure they learn about the importance of dental work. This children’s dentistry quiz can help you and your child understand the typical procedures of children’s dentistry. To get started right away, visit us in Corpus Christi, or give us a call at 361-245-5400 or visit our contact page for more information!